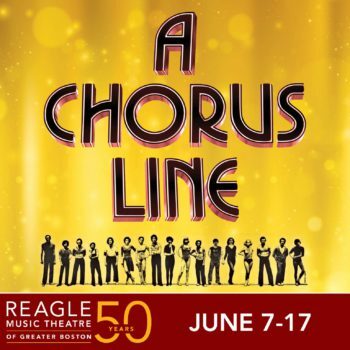 Reagle Music Theatre kicks off the company’s spectacular 50th Anniversary Summer Season with A Chorus Line from June 7-17. The multiple Tony Award-winning musical will run for 8 performances at the Robinson Theatre, 617 Lexington St., Waltham, MA. A Chorus Line is the ultimate Broadway story, following the hopes and dreams of young performers as they bare their souls auditioning for a Broadway musical. A Chorus Line will feature a roster of regional talent featuring newsman and IRNE award winning actor of stage and screen, Scott Wahle as “Zach”, and IRNE award and Tommy Tune Award winner Kirsten McKinney as “Cassie”. 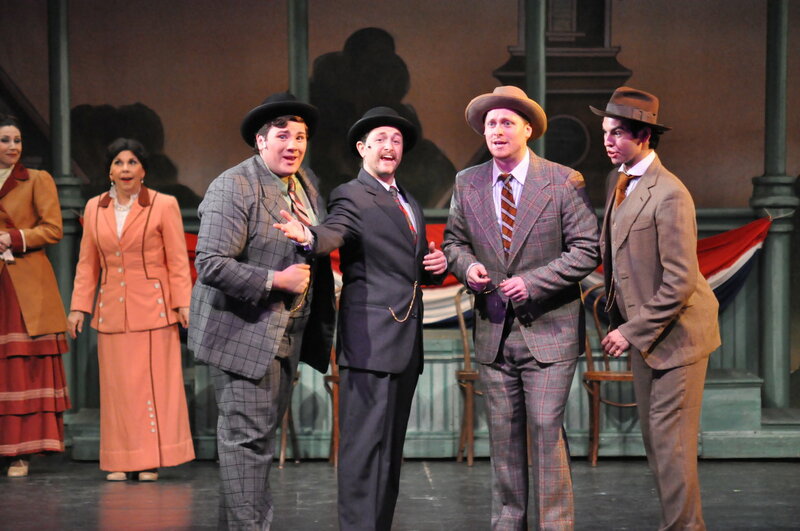 The production is backed by a full, live orchestra and includes the original Broadway costumes! Produced by Robert J. Eagle; Directed and Choreographed by Leslie Woodies (A Chorus Line, On Your Toes); Music Direction by Dan Rodriguez (In the Heights, Show Boat). A Chorus Line is a stunning celebration of the unsung heroes of the American Musical Theater – the dancers and singers of the Broadway chorus. A Chorus Line takes the audience through the final grueling audition for a new Broadway musical while exploring the inner lives and poignant ambitions of the Broadway hopefuls competing for a spot on the stage. 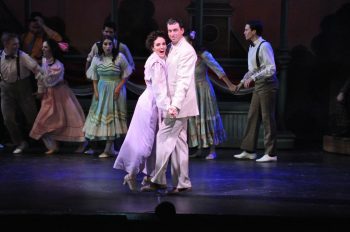 The show features one powerhouse number after another including “What I Did for Love,” “One,” “I Can Do That,” “At the Ballet,” “The Music and the Mirror,” and “I Hope I Get It.” A fusion of song, dance, and drama, A Chorus Line was instantly recognized as a classic winning nine Tony Awards in addition to the 1976 Pulitzer Prize for Drama. The original Broadway production ran for 6,137 performances. 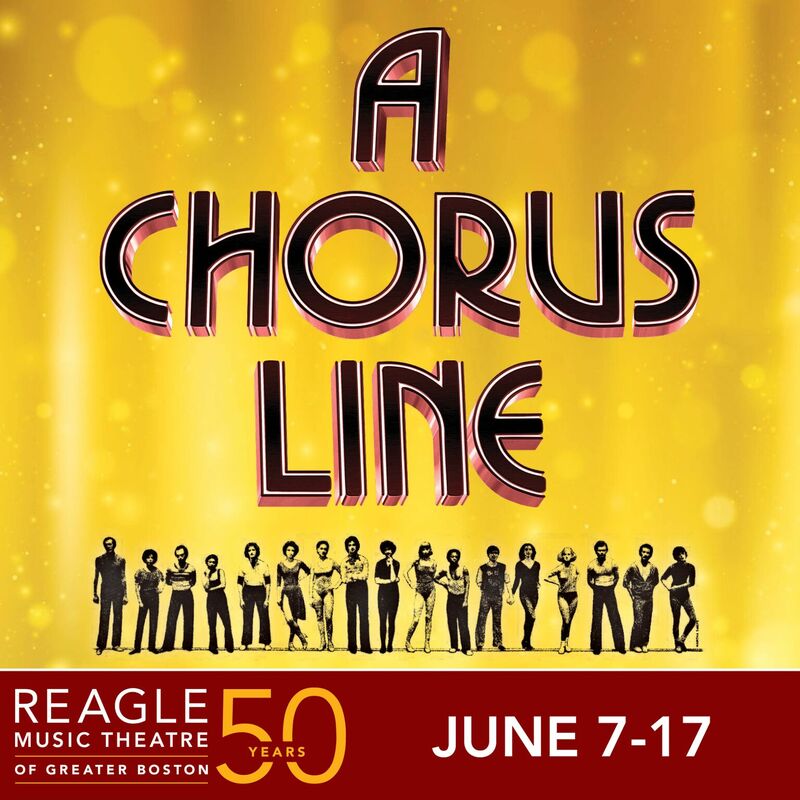 Reagle Music Theatre’s 50th Anniversary production of A Chorus Line features a full cast of 27 performers from Boston, New York and across the country, starring Boston’s own Scott Wahle as Zach and Kirsten McKinney as Cassie Ferguson. Performance Schedule: Thurs, June 7th at 3:00 PM; Fri, June 8th at 7:30 PM; Sat, June 9th at 7:30 PM; Sun, June 10th at 2:00 PM; Thurs, June 14th at 3:00 PM; Fri, June 15th at 7:30; Sat, June 16th at 7:30; Sun, June 17th at 2:00 PM. To purchase, visit www.reaglemusictheatre.org, call 781-891-5600, or visit the theater box office at 617 Lexington St, Waltham, MA, 02452. 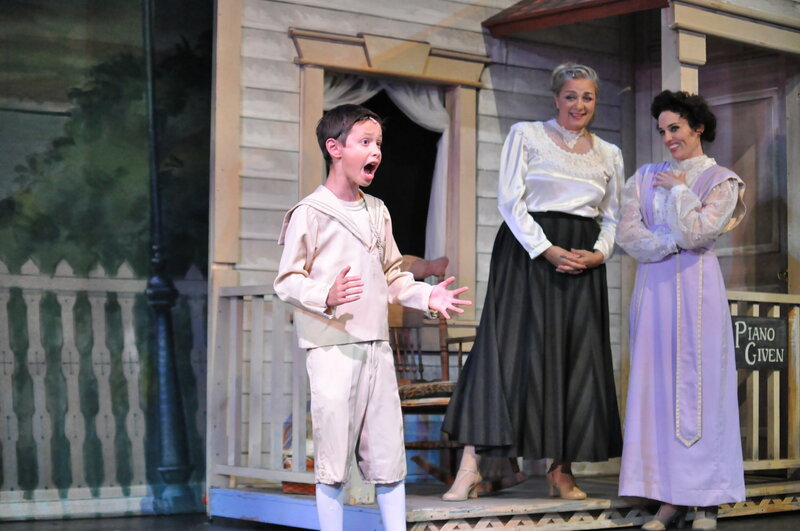 Hours of operation are Monday through Friday from 9 a.m. to 4:30 p.m., Saturdays 10:00 a.m.-2:00 p.m., with extended hours from 9:00 am to curtain on performance days. 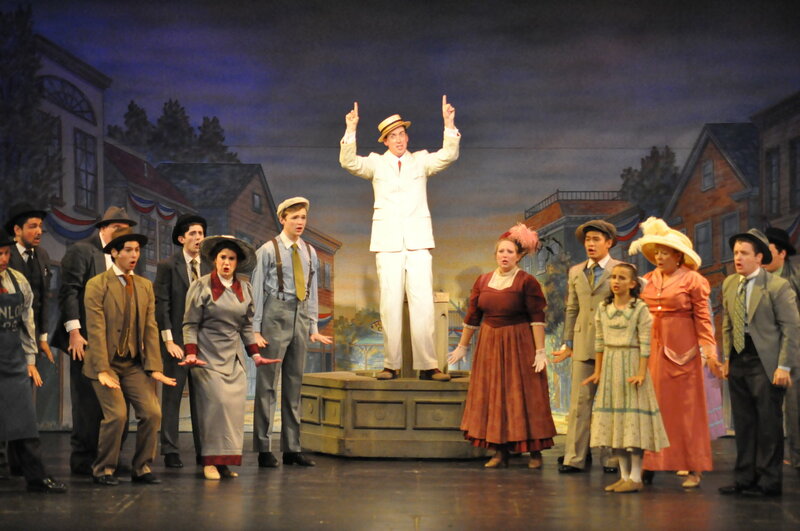 A Chorus Line, Anything Goes, and The Music Man are on tap for this year’s summer season at the Reagle Music Theatre located at the Robinson Theater, 617 Lexington Street, Waltham. The three classic musicals will be directed by Leslie Woodies, Eileen Grace, and Susan Chebookjian respectively. A Chorus Line will run for 8 performances from June 7 through June 17. Anything Goes will have 8 performances running from July 5 through July 15, and The Music Man will close out the season also running for 8 performances from August 2 through August 12. Broadway’s “Phantom,” Ciarán Sheehan, returns to Reagle Music Theatre of Greater Boston to take on the role of GAYLORD RAVENAL in Jerome Kern and Oscar Hammerstein II’s 1927 masterpiece Show Boat.Running from July 6-16 for 8 performances only, Show Boat will also star Boston’s own Sarah Oakes Muirhead (Sunday in the Park with George) as MAGNOLIA HAWKS. A groundbreaking show when it debuted in 1927, Show Boat continues to touch audiences with timeless themes and unforgettable music. 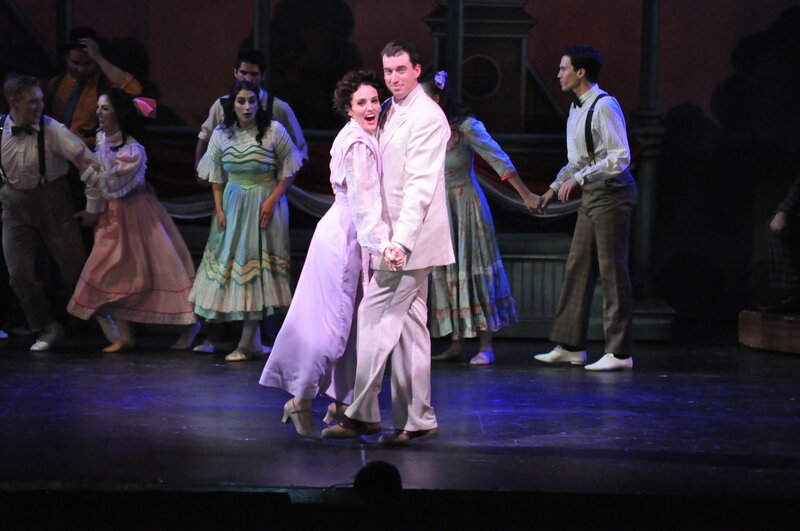 Rachel Bertone (IRNE Award Winner, Carousel, Wild Party) will direct and choreograph this intimate Goodspeed Musicals version of the production, in creative partnership with Musical Director and Conductor Daniel Rodriguez (Carousel, Barnum). Original set design by Mike Micucci. Producing Artistic Director Robert J. Eagle. Show Boat is based on Edna Ferber’s bestselling novel, following three generations of the Hawks family on the Cotton Blossom river boat from 1887-1927. The story chronicles the fortunes of naïve Captain’s daughter Magnolia and her troubled husband Gaylord Ravenal, and the lives of the performers, stagehands, and dock workers whose lives are affected by the ever-changing social current along the Mississippi River. Show Boat was the first fully integrated “book musical”, tackling issues of unhappy marriage, miscegenation and racial prejudice. 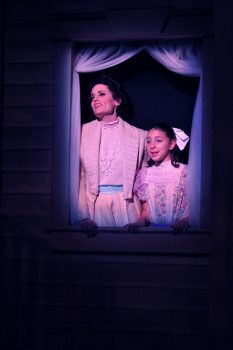 The musical’s classic songs, including “Ol’ Man River, “Only Make Believe,” “Can’t Help Lovin’ Dat Man,” and “You Are Love,” have become mainstays of the Broadway canon. Performance Schedule: Thurs, July 6th at 2:00 PM; Friday July 7th at 7:30; Sat, July 8th at 7:30 PM; Sun, July 8th at 2:00 PM; Thurs, July 13th at 2:00 PM; Fri, July 14th at 7:30 PM; Sat, July 15th at 7:30 PM; Sun, July 16th at 2:00 PM. 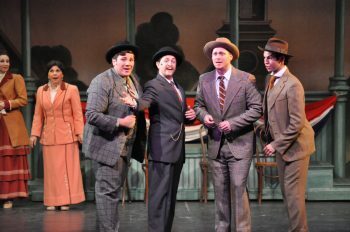 www.reaglemusictheatre.com, 781-891-5600, The Reagle Music Theatre, 617 Lexington Street, Waltham, MA).